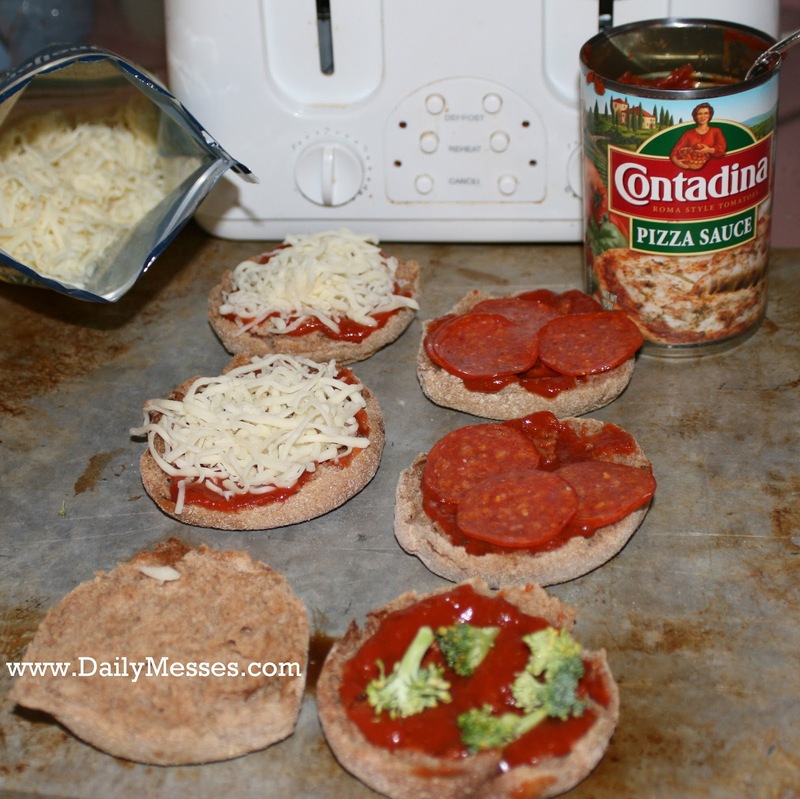 Daily Messes: Who's Pizza Is The Best? Is It Donatos, Pizza Hut, Little Caesars, DiGoirno...? Nope, It's Mom's! Who's Pizza Is The Best? Is It Donatos, Pizza Hut, Little Caesars, DiGoirno...? Nope, It's Mom's! 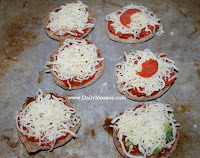 I remember having make your own pizza night as a kid. I loved putting my own together and adding the toppings I wanted. We now have pizza night with our kids. 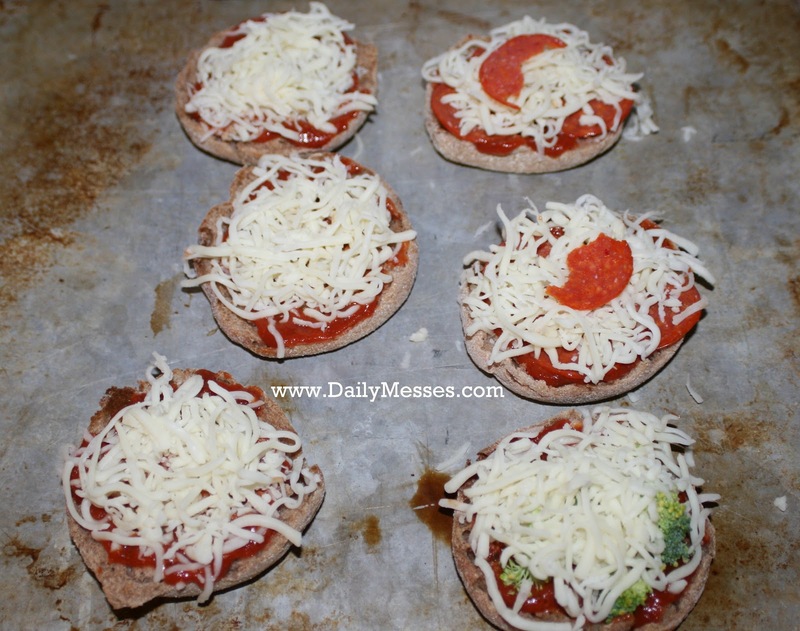 It's fun to experiment with different crusts and toppings! There's the traditional pizza where you buy the pre-made dough, use a mix, or make your own, and make a circular shaped pizza. 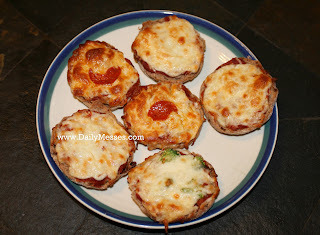 Next is the other traditional kids pizza: English Muffins! These make a great lunch or a light dinner. 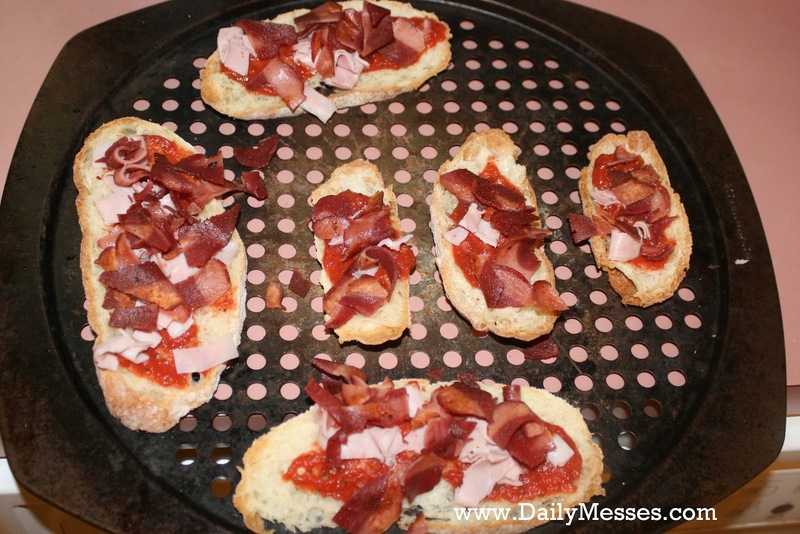 For the English Muffin Pizzas, I like to start by lightly toasting the muffins. I found that if I don't toast the muffins first, they sometimes will not get crispy or will get soggy. 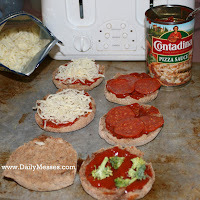 Next, I add on a layer of pizza sauce, followed by any toppings and cheese. Bernardo likes pepperoni on his pizza, while Higgins like his a classic cheese. To keep the pepperoni pizzas separate, I place a piece of pepperoni on top of the cheese. ones are the pepperoni after baking. We also like to use loafs of bread. This one was made using an Italian round loaf! We sliced it about 1/4-1/2" thick and added a layer of pizza sauce. Next we added the toppings. 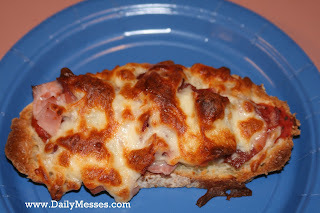 This time we used ham and bacon! Yummy! 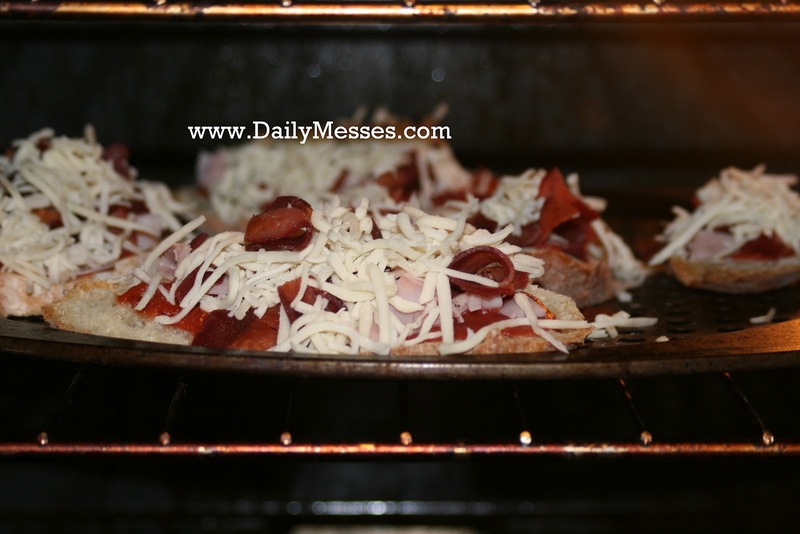 The mozzarella cheese was the final topping. I baked it on my favorite pizza pan. I love this pan! The holes allow the crust to get crispier than a regular pizza tray. What's your favorite way to make pizza? What's your favorite topping(s)?